I am so excited to be kicking off the Fall Collection today with the Side Bustle Skirt. It is one of those items that I have absolutely fallen in love with, and couldn’t be happier to share with you. The side bustle skirt boasts a nice full skirt, made with lightweight fabric that has a lot of movement. Extra fullness is given at the side panels with gathered bustles sewn in, as well as a very minimal high-low hem. 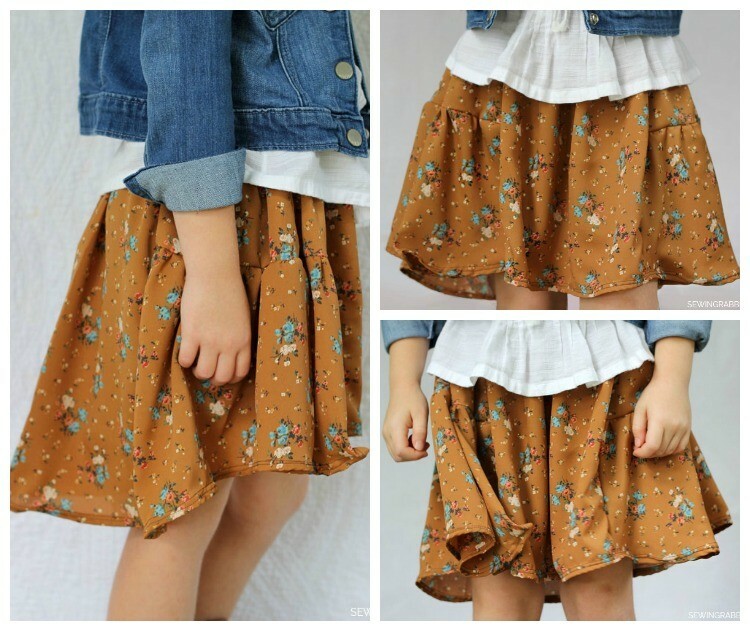 The free sewing pattern offered for this skirt comes fully digitized in Sizes 4T and 6 years. I always know something is a hit when my daughter wants to take it off of the dress form and wear it immediately…and when I regret not having one in my own size. It is really rather easy to sew together, the corner edges within the side bustle being the most difficult part. Just be sure to clip the corner seams slightly at the edges, and you won’t have any problems with it puckering. We are going to get tons of use out of this skirt for the Fall Season! And even more when Spring comes back around. Now its your turn. 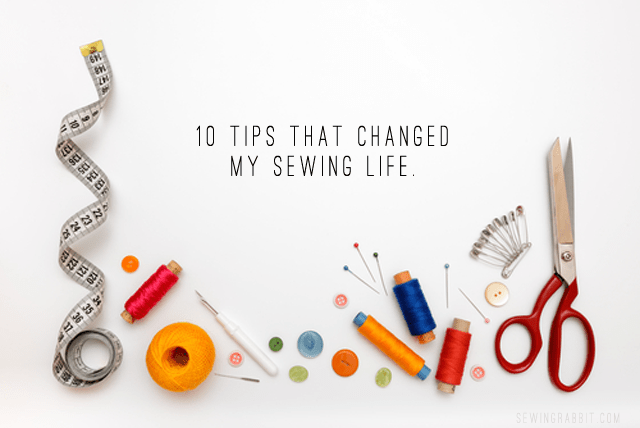 Show me what you are Sewing this Fall..
We want to see what you are working on! 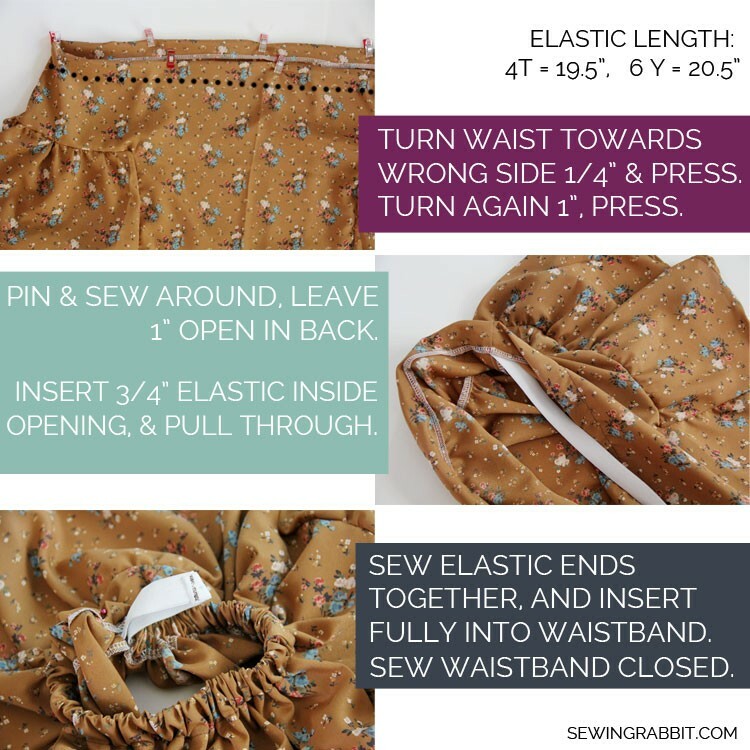 Simply Tweet, Instagram, or Post on Facebook using the hashtag #SewingRabbitFallCollection. We’ll show a round up of some of our favorites every Saturday, with a link to the Social Media you chose to use. We want to share the Fall Sewing love, and show everyone just how awesome you are! Thanks so much for stopping by, and we look forward to seeing what you are working on! This is such a cute skirt (and I love that fabric print). 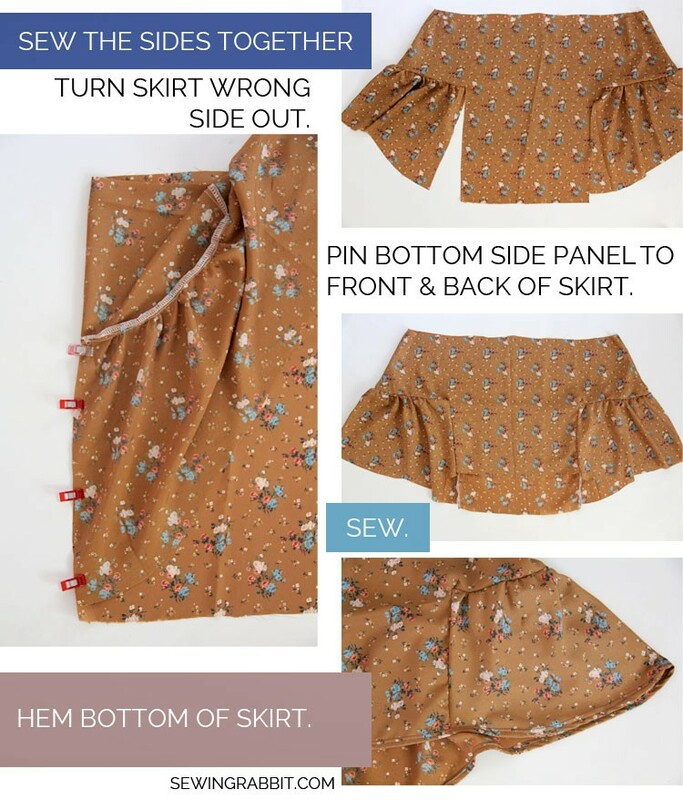 I can’t wait to see all the other tutorials and what everyone sews up! Adorable! 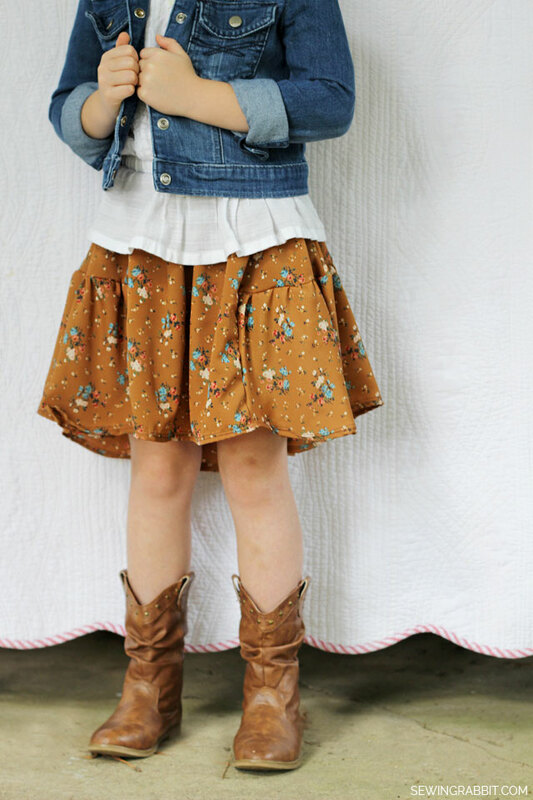 I’ll be making Lillian one… But she’d like to know where to get the boots! Ha…. Shoe fetish starts early. Super fun! 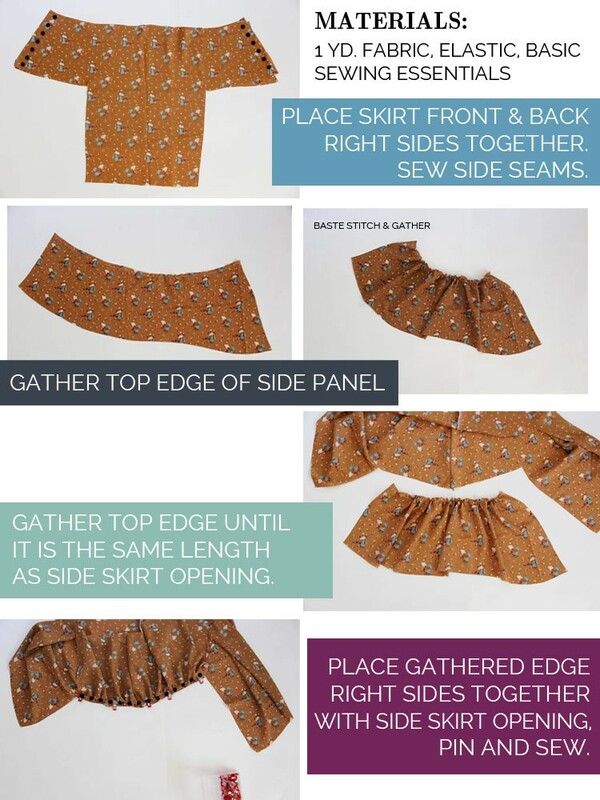 I love the innovation of this skirt! I can’t wait to see everything else! I luuuurve this! It would be great for an adult too, because the volume doesn’t start at the waist, but half-way down (so avoiding making the post-baby tummy area looking any bigger). This is beyond adorable! I want one in my size too! the skirt … the styling . . . your daughter . . . all so cute!! Thanks so much for sharing this pattern – it’s so fun! Thank you so much Lucinda! I have to have this skirt just for ME!!!!!! I love this so much!!! I think I need to make one for Em…. It’s a good thing she’s the same size as your daughter!!! So cute! 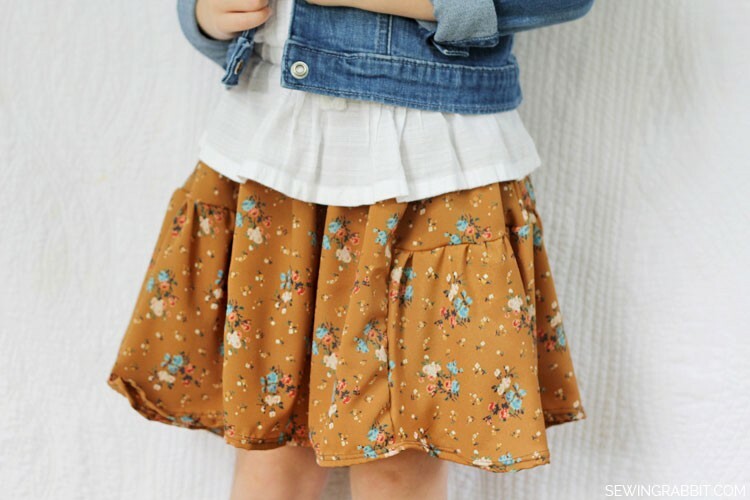 Why doesn’t my daughter want to wear skirts? I want one in my size! YAY! Thank you – my daughter fits the pattern size and would LOVE this! What a great, classy skirt. I just printed the pattern today! My family especially appreciates your “modesty comment” in the instructions. It’s just so important for our young girls. Many thanks! I just used the instructions to make one for myself and I absolutely love it! Thanks for the great idea! I went to cut out my pattern and cannot figure out how to make everything fit on 1 yd of fabric. I am making the size 6. Am I missing something, or should I have purchased an extra 1/4 yd? I love that flouncy look that gives fullness to the “bottom side” of the skirt. I’m a bit sad as my 3 3/4 yr. old granddaughter is so petite that she’s still only in 24 month sized clothes! But hey, she will grow right? So I can get this and wait till that growth spurt happens! Thanks for sharing. I just realized that I’m a year later than all the other “comments.” Oh well, didn’t know about these tutorials a year ago!